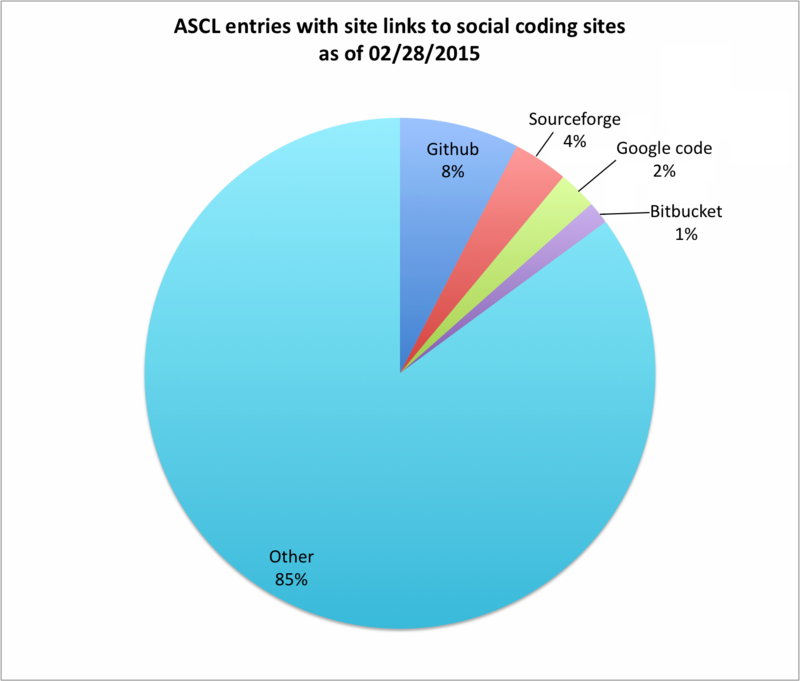 The pie below shows what percentage of codes in the ASCL have social coding links in their entries, and the Starlink caveat still holds: all the Starlink codes are in one Github repo, so that repo is represented only once in the pie below. These numbers are somewhat low, as some codes offer a webpage/site to which the ASCL links, with that webpage then directing people to a repostitory. If someone does a better analysis, please send it over; I’d love to include it! As before, the data are here. Page rendered in 0.719 seconds. Blog powered by WordPress.